The California Civil Code requires community associations (“HOAs”) to levy regular and special assessments as necessary to perform the HOA’s obligations under its governing documents. However, when a homeowner fails to pay those assessments, HOAs are often left with no alternative other than to pursue the owner in accordance with the collection methods sanctioned under the HOA’s governing documents and the Civil Code. Because those methods could result in the foreclosure of the delinquent homeowner’s property, it is paramount that HOAs strictly comply with the statutory procedures and requirements applicable to assessment collection (i.e., transmittal of notices, dispute resolution procedures, votes to initiate foreclosure, etc.). In Diamond, the Association levied a special assessment to cover the cost of a necessary roofing repair project. After the owner failed to pay the assessments, the Association’s attorney sent out a pre-lien letter notifying the owner that the Association would be recording a Notice of Assessment (an assessment lien) against the owner’s unit if the delinquent amount was not satisfied within 30 days. That letter also notified the owner that the owner had the option to either(1) submit a written request for dispute resolution to the Association pursuant to the Association’s meet and confer program or, (2) request alternative dispute resolution (ADR) with a neutral third party in accordance with Civil Code Section 1369.510. Having failed to receive the delinquent funds within 30 days, the Association recorded a Notice of Assessment against the owner’s property on July 26, 2007. A copy of that recorded Notice of Assessment was not sent to the owner until 28 days after the recording date. Thereafter, the owner sent a correspondence to the Association requesting that the parties meet and confer, and if that failed to resolve the dispute, that the parties engage in ADR with a neutral mediator. The Association denied that request, asserting that the parties had already met and conferred, and that the owner was entitled to “either meet and confer with the Association or engage in Alternative Dispute Resolution [ADR], but not both.” Thereafter the Board met in executive session and voted to approve the initiation of foreclosure proceedings. That vote was not recorded in the minutes of the executive session meeting, nor was the owner notified of the Board’s vote to foreclose prior to the commencement of the foreclosure action. The Association clearly made several departures from the strict procedural requirements set forth in the Civil Code. These departures ultimately resulted in the court’s invalidation of the Association’s assessment lien. The four (4) primary requirements focused on by the court in Diamond are discussed further below. The first of the Association’s critical mistakes involved the Association’s failure to issue timely notice to the homeowner after the recordation of the assessment lien. Under Civil Code Section 1367.1(d), “a copy of the recorded notice of delinquent assessment shall be mailed by certified mail to every person whose name is shown as an owner of the separate interest…no later than 10 calendar days after recordation.” (Emphasis added). As the Association failed to send notice until approximately 28 days after the recording of the lien, the court found that the Association had failed to comply with this statutory requirement. Upon receipt of the owner’s request to move forward with dispute resolution as set forth in the provisions of Section 1367.1, the Association responded by arguing that the owner was entitled to either (1) meet and confer or (2) participate in ADR, but not both. Having already conducted a meet and confer in accordance with the Association’s governing documents, the Association subsequently denied the owner’s request for ADR. In ruling against the Association, the court noted that subsections (a)(5) and (a)(6) of Civil Code Section 1367.1 entitle owners to both (1) dispute assessments pursuant to the Association’s meet and confer policy, and (2) participate in ADR with a neutral third party prior to the initiation of foreclosure proceedings. Despite the Association’s efforts to argue that its participation in a meet and confer constituted substantial compliance with the Civil Code’s requirements, the court found that the Association’s denial of the owner’s right to participate in both dispute resolution procedures constituted a significant departure from the strict requirements of the Code. The Board in Diamond also failed to properly record the vote of the Board to approve the foreclosure in the minutes of the next Board meeting. Civil Code Section 1367.4(c)(2), requires that the decision of the Board to initiate foreclosure of a delinquent assessment lien must be approved by the vote of a majority of the Board in executive session, and such approval must be recorded in the minutes of the next meeting. The Association argued that its failure to abide by Section 1367.4(c)(2) was of no consequence since the owner was aware that the foreclosure would be filed. Once again, the court found against the Association–reiterating that the mandatory language of the statute permitted no deviations from its procedural requirements. Per Civil Code Section 1367.4(c)(3), a HOA seeking to collect a delinquent assessment through judicial or non-judicial foreclosure must serve the owner of the separate interest with notice of the Board’s vote to foreclose prior to the filing of the foreclosure action. In Diamond, the Association claimed that it had met the burden imposed by 1367.4(c)(3) by personally serving the Owner with the summons and complaint for the judicial foreclosure action. 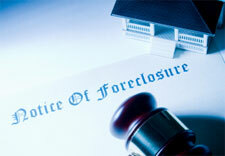 In finding against the Association, the court held that the notice requirement was a condition precedent to the filing of the foreclosure action. As the summons and complaint were delivered to the Owner after the filing of the foreclosure action, the court determined that the Association had once again deviated from the requirements the Civil Code, and that this deviation was fatal to the Association’s judicial foreclosure action. HOAs seeking to collect delinquent assessments through the use of liens and the foreclosure process must ensure that they are in strict compliance with the procedural requirements set forth in the Civil Code. Even slight departures from these requirements may result in significant legal and financial consequences for the HOA. If your Association is actively engaged in collections efforts against delinquent owners, or considering the adoption of a formal collection plan, it is critical that the Board seek out the advice of a competent assessment collection firm. Tinnelly Law Group is proud to offer its clients with access to comprehensive, attorney-supervised collection services through the use of our affiliate, Alterra Assessment Recovery.